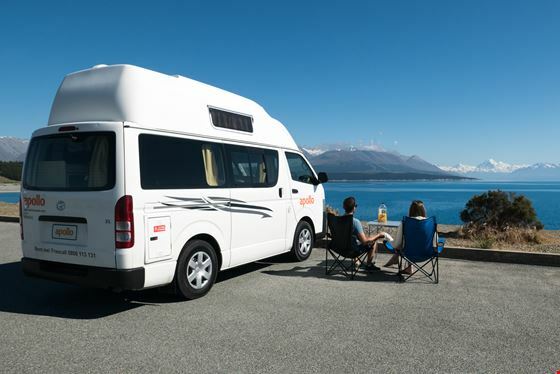 One of the most exciting road trips travelers can embark on is a motorhome hire new zealand journey. This unique and exciting country has it all when it comes to adventuring, including stunning scenery you will never experience anywhere else on earth, a plethora of activities, and many cities and towns to explore. There are so many regions spread throughout New Zealand that you may have trouble pinpointing which destinations to hit during your trip. If a sunny tropical setting and incredible water views sound like they would be up your alley, then you would be highly advised to place Whakatane high on your list. When you touch down in this pleasant and laid back region, then make sure to keep these sites on your schedule. The Pacific Ocean runs right up against the edge of Whakatane, making this the ultimate beach town. If you’re a surfer then you should grab your board and roll straight to what is known as The Heads. This series of coastal spots is known as one of the top surfing spots in the world, featuring massive waves and the famous tubes that attract surfers from all over the world. Even if you aren’t into surfing, you can simply enjoy a fine beach day in this subtropical paradise. Some other beaches in the region that you will want to check out are Ohope Beach and Ohiwa Harbour. These are great spots to take a break from your road trip and enjoy some relaxing time in the sun. You can also get out on the water for some big game fishing if you’re after some adventure, as there are many tours available in the area. This town is located at the mouth of the Whakatane River that gives it his name. Here you will be able to participate in some unbelievable rafting opportunities. There are tours available where you can go out with a guide, and for experienced rafters you can head out on the water on your own. This is some of the best rafting to be found in New Zealand and you won’t have to venture to far into the wilderness to find it. This is also a fishing hotspot, so for those who’ve packed their gear you will be in for a treat along the Whakatane. As with most coastal regions in New Zealand, there are some incredible hiking trails in the Whakatane region. The terrain surrounding this town is absolutely stunning. One definite recommendation is the Nga Tapuwai o Toi track which runs right from the center of town and moves out into the scenic expanse of Ohope Beach. This is a great hike and will give you a nice experience of all the different types of terrain in the region. You can sign up for a hiking tour where you will be led by an expert. This is great since your guide will be able to teach you about the history of the area and lead you to the best overlooks and secret coves only known to locals. There are a wide variety of coves that are known only to locals and are hard to find, so taking a guided tour is a great way to experience them. Of course you can always set out on your own as well and experience the beauty of this region for yourself. Whatever the case, it is highly recommended that everyone visiting Whakatane gets out on the trails to experience what this region has to offer. Whakatane is a laid back and unique town, and there is no better place to experience it than the downtown business district. Here you will find a variety of shops that run the gamut from worldwide chains to local boutiques, not to mention a wide range of restaurants that cater to nearly all tastes. The people watching here is great, and you will get to meet locals who are known to be friendly. You will most likely also run into quite a few fellow travelers and can share tips about the area. Even if you just wanted to grab a drink and sit and relax in the sunny atmosphere, the business district is definitely the place for you. For those seeking the perfect tropical setting on their motorhome hire new zealand journey, look no further than Whakatane with its stunning miles of undeveloped coastline, incredible rivers, lush forests, and lively downtown district. This is the perfect place to spend a few days of sun soaking, surfing, swimming, hiking, biking and more in one of the most bucolic sections of the country, which is really saying a lot for New Zealand. It won’t take you long to figure out why Whakatane is so popular with New Zealand adventurers.